SPI is the leading not-for-profit organization providing treatment based research in the VA and in non-VA facilities aimed at preventing suicidal behavior among those veterans with PTSD who are at risk. One first accomplishment was the development of an instrument that can predict which veterans with PTSD are at short-term risk for suicidal behavior; an invaluable tool in their help and in preventing suicide among them. Our second was the development of a short-term psychotherapy for Vietnam veterans that was successful in preventing their suicidal behavior. Persistent severe guilt over combat experiences was the major factor differentiating veterans who had attempted suicide and those who were seriously preoccupied with suicide from those veterans who were neither. The chaotic nature of guerilla combat in Vietnam, the uncertainty about who was the enemy, the emphasis on body counts, and the Viet Cong’s use of women, children, and the elderly as combatants all contributed to combat actions about which veterans felt severe guilt. Past work laid the groundwork for comparable work we are now doing at the Michael DeBakey VA Medical Center in Houston, Texas with the aid of a grant from the Bristol-Myers Squibb Foundation. 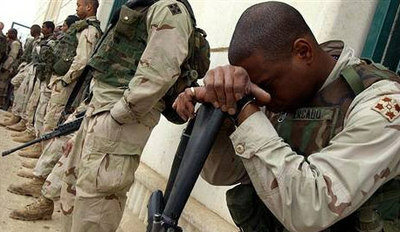 This research treatment is primarily focused on veterans of the wars in Iraq and Afghanistan. Currently we are developing a project with investigators at the Bronx VA with a control group large enough scope to permit us to demonstrate the effectiveness of our treatment approach.